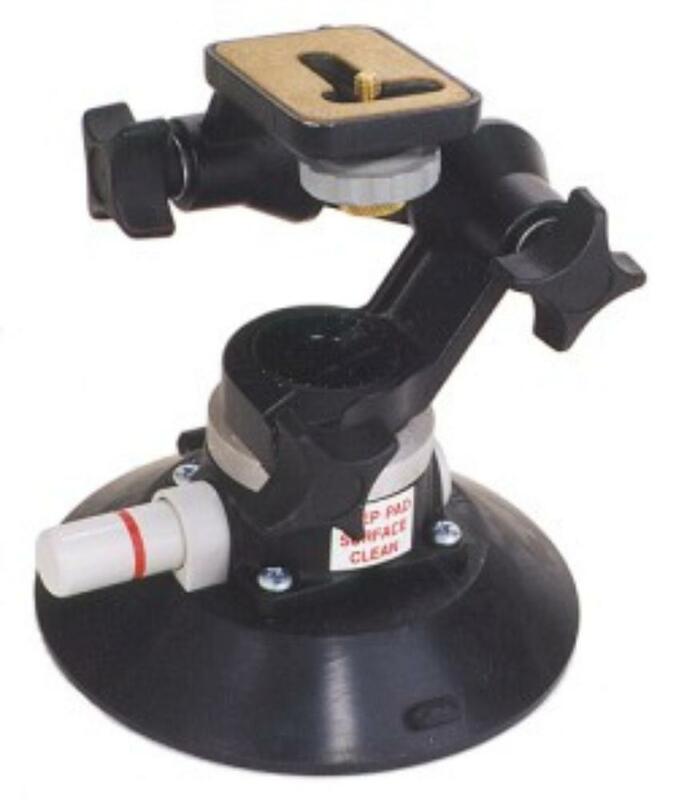 The Matthews 6" diameter Suction Pump Cup has a 5/8" pin and will support up to 5 pounds. Pump it until a red marker disappears to create an amazing bond to non porous surfaces. A common use is for camera shots on car hoods.